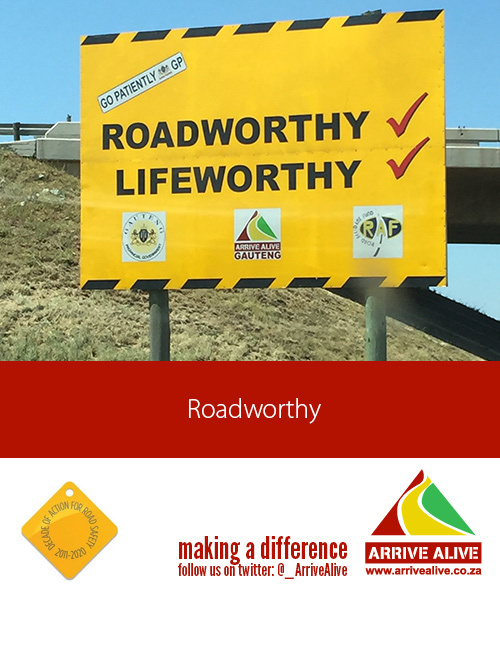 Vehicle roadworthiness is one of the important requirements for the safety of all our road users. On the Arrive Alive website we refer to contributing factors to vehicle crashes with reference to three categories – driver fitness, vehicle fitness and environmental factors. 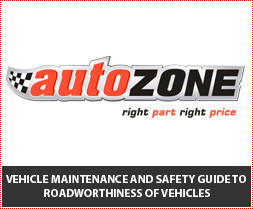 With the assistance of our road safety partner AutoZone we have included a section on vehicle maintenance repair and road safety. This provides some important aspects of the most important of the vehicle to attend to. But how do we do it and can we do some of the steps to maintenance ourselves? AutoZone is dedicated to helping you. For more hints and tips, collect the full range of AutoZone Hints and Tips range from your nearest AutoZone store! You can also call the AutoZone Technical Team on 0800 200 993 for technical automotive advice on any AutoZone products. All products MUST be fitted by a qualified automotive technician at an accredited workshop. If not, and defect to the part arises from incorrect installation, then the company will not accept liability. Browse through the categories, and view our excellent hints and tips, and grow your auto-mechanic knowledge. To download our DIY Tips in PDF format, please see below.